The Gotham Sign Co. was in business in New York City from 1918 to 1952. Proprietor was Robert Theodore Loevenich (1892-1983). Robert T. Loevenich was the son of Robert F. Loevenich, described in the 1910 U. S. Census as a bartender immigrant from Germany. In this same census Robert T. Loevenich's occupation is given as "Actor Theatre." By the time he registered for the Word War I draft in 1917 the younger Loevenich was a sign painter. At the time of the World War II draft (1942) Robert Theodore Loevenich lived in Montvale, Bergen County, New Jersey, and was self-employed at 345 E. 78th St. Gotham Sign Co. was located at 345 E. 78th St. from 1937 to 1952. 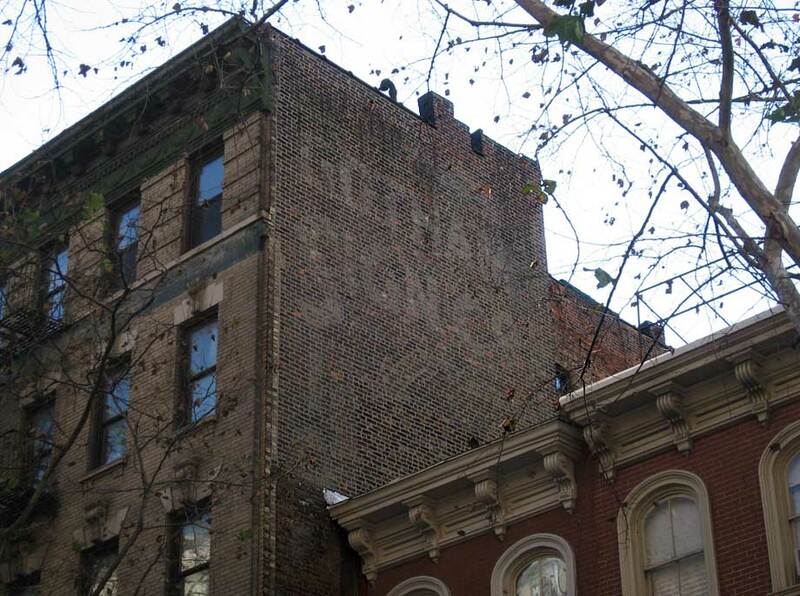 The Gotham Sign Co. began in 1918 on East 74th St., and was located at 230 E. 78th St. for the short period 1934 to 1936. This sign probably dates from that time.